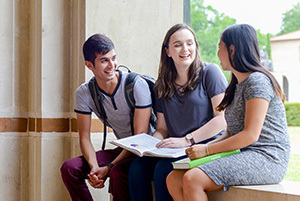 High-quality, openly licensed textbooks from OpenStax will now be available to students in the United Kingdom, thanks to a partnership between the Rice University-based nonprofit and The Open University's UK Open Textbooks project. The international initiative, funded by the William and Flora Hewlett Foundation, is part of OpenStax's mission to make its open-textbook model available to students all over the world. OpenStax textbooks are expected to save U.S. students more than $145 million this academic year, and the publisher is hoping to do the same for U.K. students, the company said in a news release. "Our goal is to bring affordable course materials to as many students as possible, so international expansion is an exciting and intuitive next step for us," said OpenStax Managing Director Daniel Williamson in a statement. "By its nature, openly licensed content is meant for adaptation. This project will allow us to research which pieces of our model work well in an international context and which pieces can best be adapted to meet the specific needs of U.K. students." In particular, the initiative will examine the differences between U.K. and U.S. institutions and courses, and investigate how the OpenStax model can be adapted for the U.K. "The data suggests there is a great and growing need in the U.K. for more books like those published by OpenStax," said Martin Weller, professor of educational technology at The Open University, in a statement. "We'll be exploring how textbooks are chosen by U.K. instructors, what kind of messages resonate with U.K. audiences, how faculty adapt open content to meet their needs and what parts of OpenStax's process can be generalized for initiatives in other countries. This partnership will help us develop the most-effective strategies for getting resources in the hands of as many students as possible as quickly as possible." In addition, the project will work to identify existing communities and institutions in the U.K. that are already using OpenStax books and other open educational resources. These early adopters will provide valuable feedback on the potential of open texts in the U.K., Williamson said. For more information, visit the UK Open Textbooks and OpenStax sites.